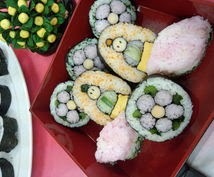 Have you seen this kind of sushi roll before? 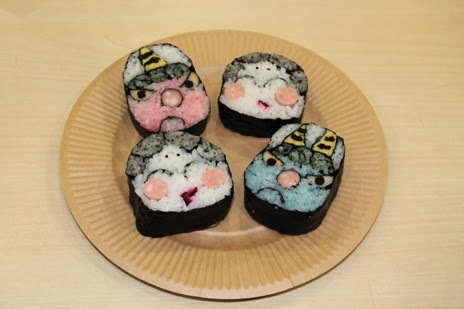 "Deco Sushi" is what they are named meaning decorated sushi roll. especially among young females of Japan. 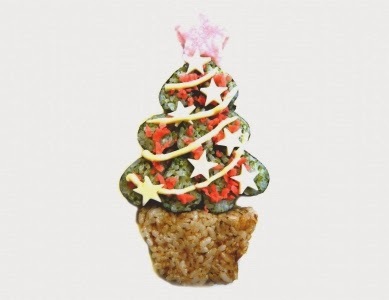 Christmas tree! Which is not really a roll anymore...but never mind. It always surprises and sometimes awes me when I find how Japanese people loves developing the original stuff into something really unique and unusual. There is even am association for Deco rolls, I learned. It is part of Galapagosization? Anyway, if you are interested, here there are videos of "How to Deco rolls"!